In this day and age when everyone wants to write a novel before they’ve read their fourth whole book it’s good to have the reminder that you need to literary crawl before you literary walk. Okay, so lit crawls have nothing to do with that idea – no matter, because this Saturday, September 15 for those of you in Gotham there are a slate of lit crawls to go on. Stuck here in Prague I will unfortunately only have access to voyeuristic authors and Czech brothels. Oh well, maybe next year. There is another Czech connection at Liars’ League NYC presents: Lies We’ve Told where former Prague expat Anthony Tognazzini is among the readers. Way back when, Anthony and his lovely girlfriend used to greet me with a ridiculous nickname based on their inexplicable idea that I looked perpetually happy and smiling. This troubled me and everyone I asked at the time denied being able to see this smiling presence, even slightly. Maybe only those two could see it? I don’t know. Other participants include Sam Lipsyte, Molly Ringwald, Irvine Welsh and critics such as Sam Sacks and C. Max Magee, the critics being there in case after a night of drinking someone wants to reopen the nice vs. mean criticism debate and start a barroom brawl (Dale Peck will be there too, but not at the critics’ event, though hopefully he’ll get tanked and show up). For the whole Lit Crawl NYC schedule click here. Photo – 1) Oil painting reportedly done by an eyewitness at the publication party for Emma Straub’s novel. Apparently, the critical arguments grew somewhat heated. 2) A samurai I couldn’t find a photo of a cult-fighting samurai, nor even a reference to one beyond the one in this event schedule. 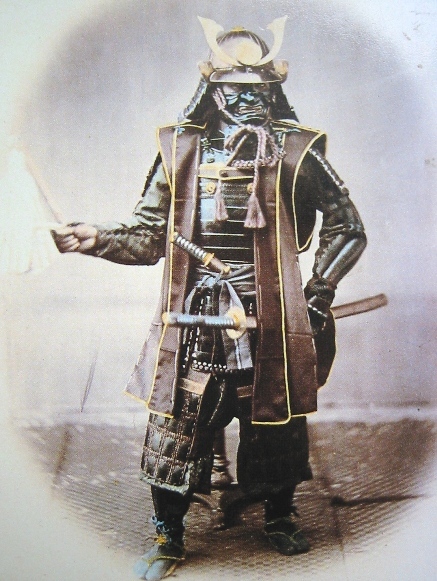 Are they specialized samurais who fight religious cults? Cool.